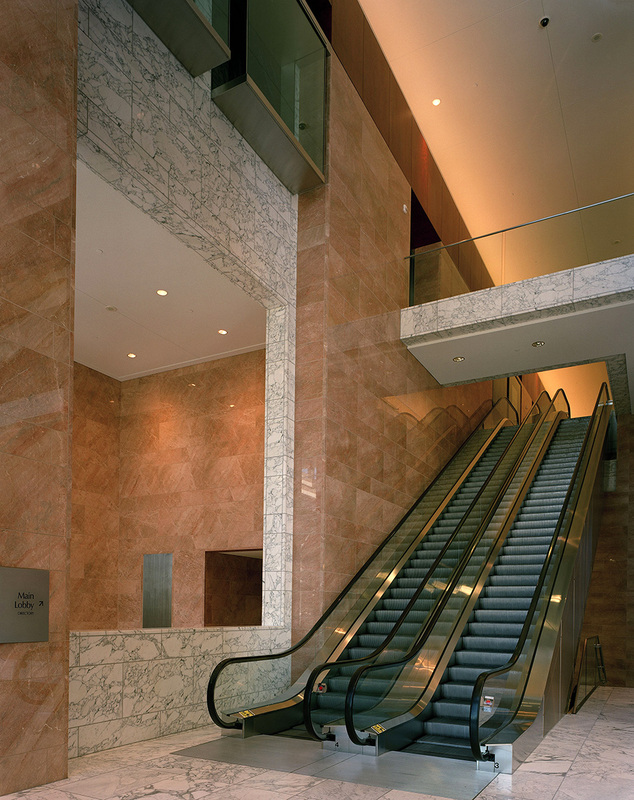 Located in a dense urban setting, this tower steps back as it rises, giving the effect of a crown at its top. 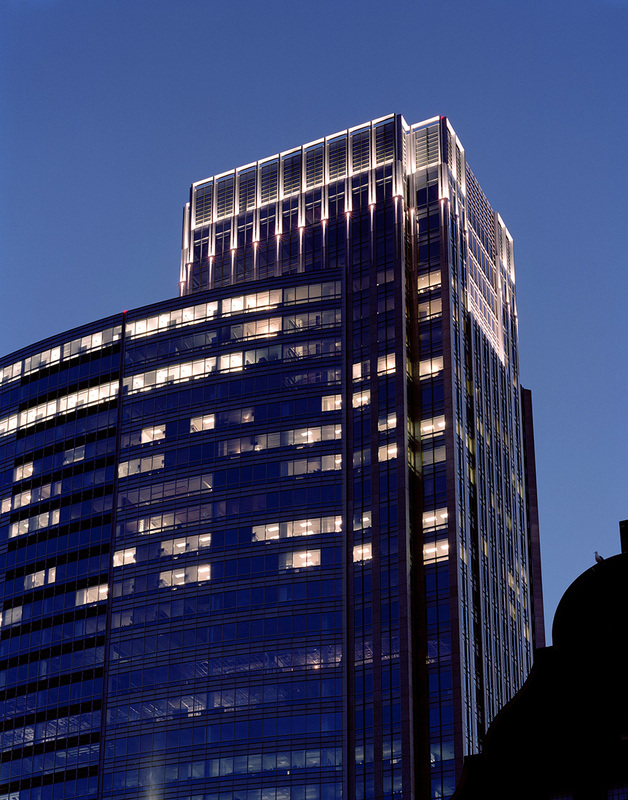 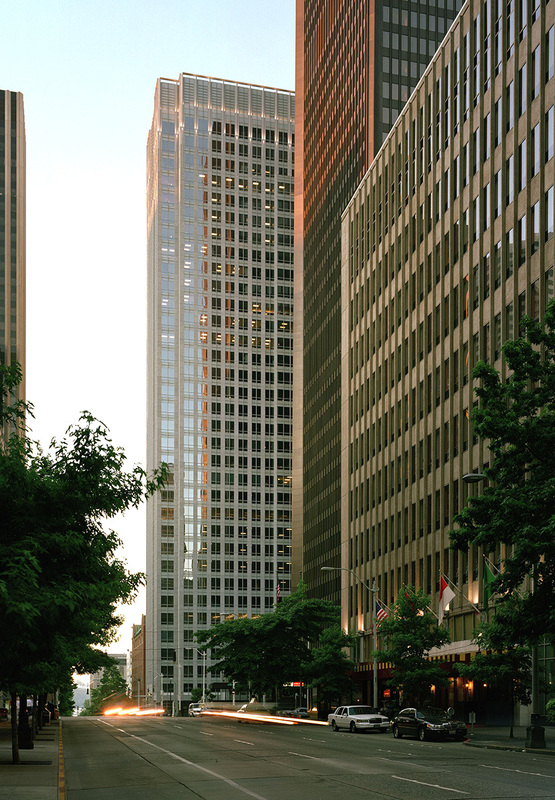 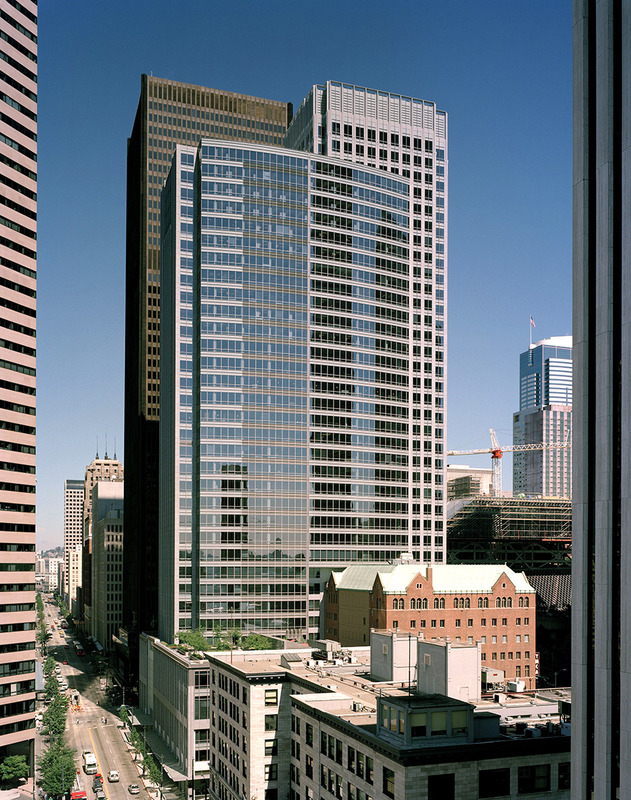 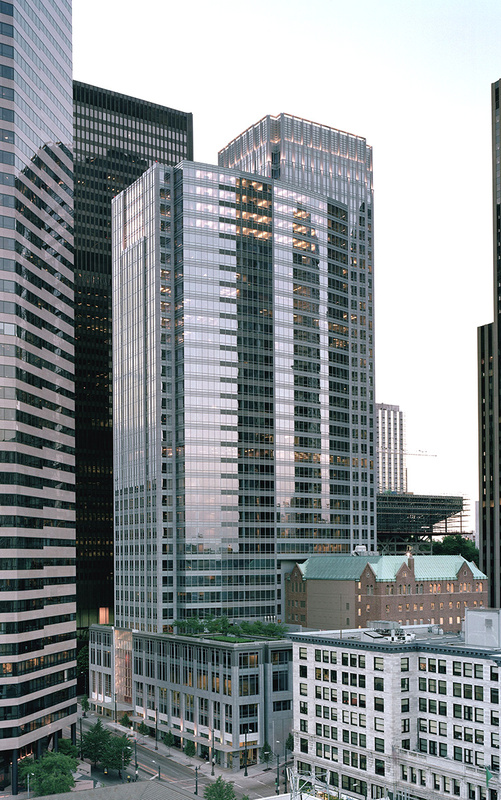 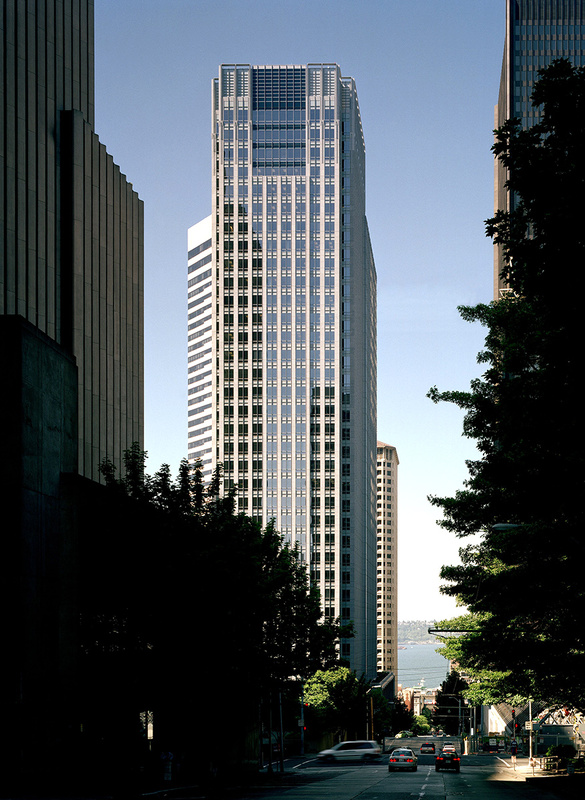 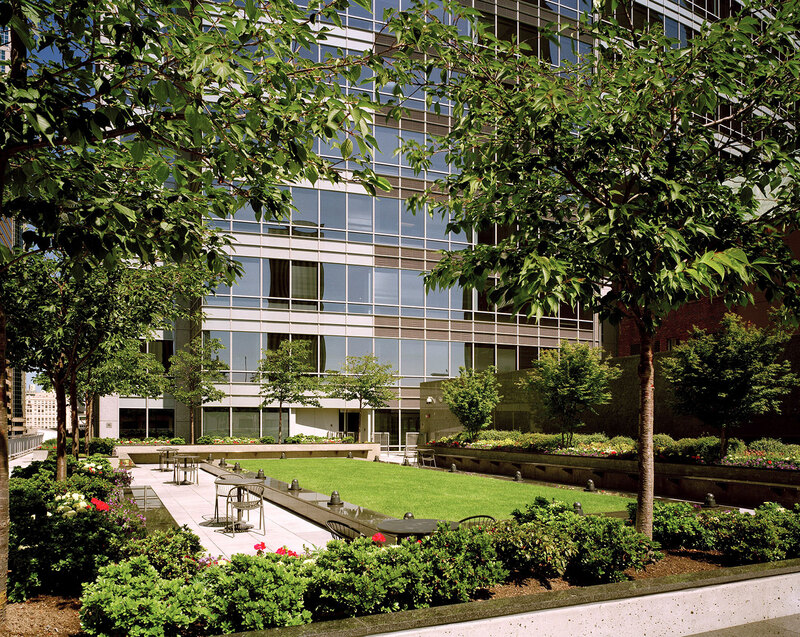 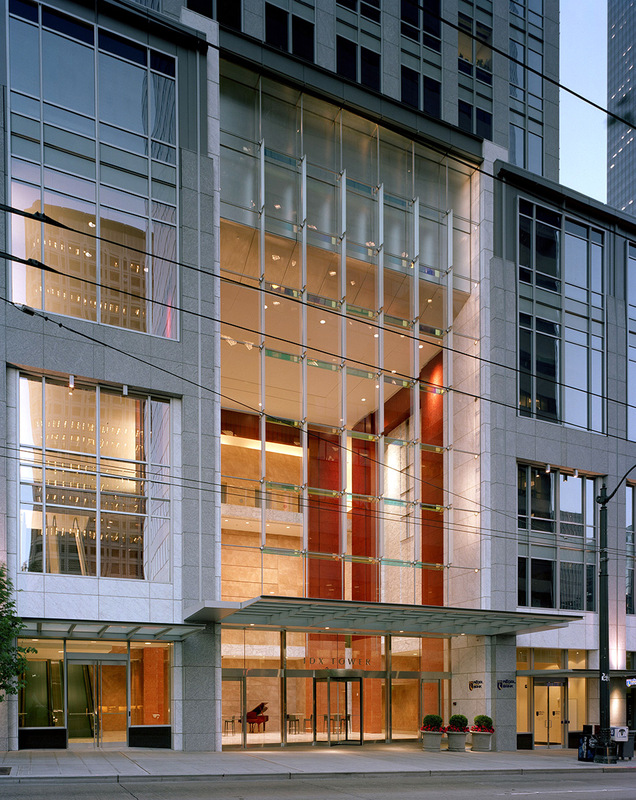 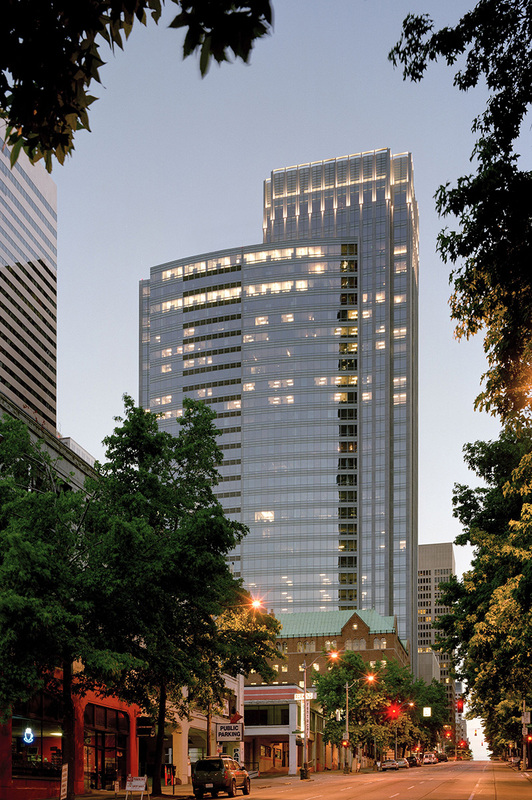 The tower itself is clad in metal, granite and glass in proportions that vary in response to orientation: a gently curved façade with unobstructed views to the southeast has floor-to-ceiling glass, while the other facades facing the high rise landscape of downtown have large windows inset in a grid of stone. 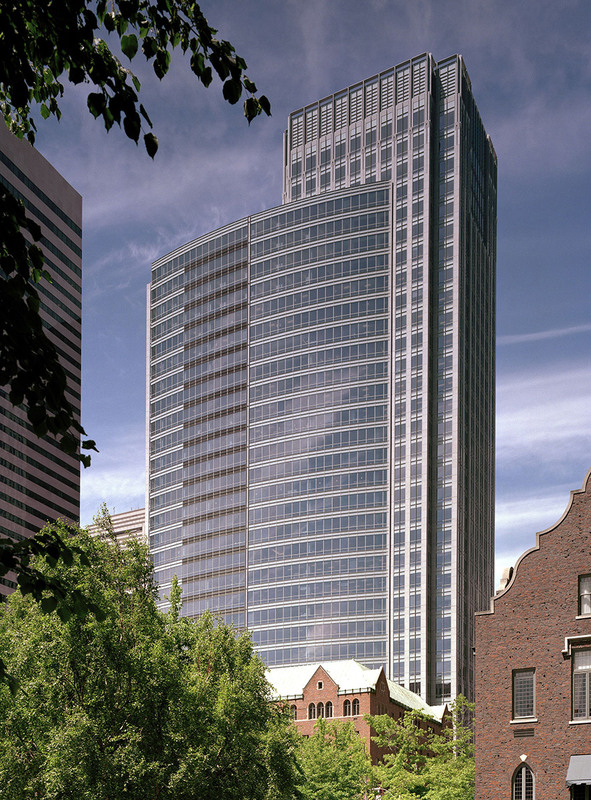 This new building includes a mid-rise podium that helps mitigate the difference in scale between the new tower and the existing mid-rise building with which it shares a full downtown block. 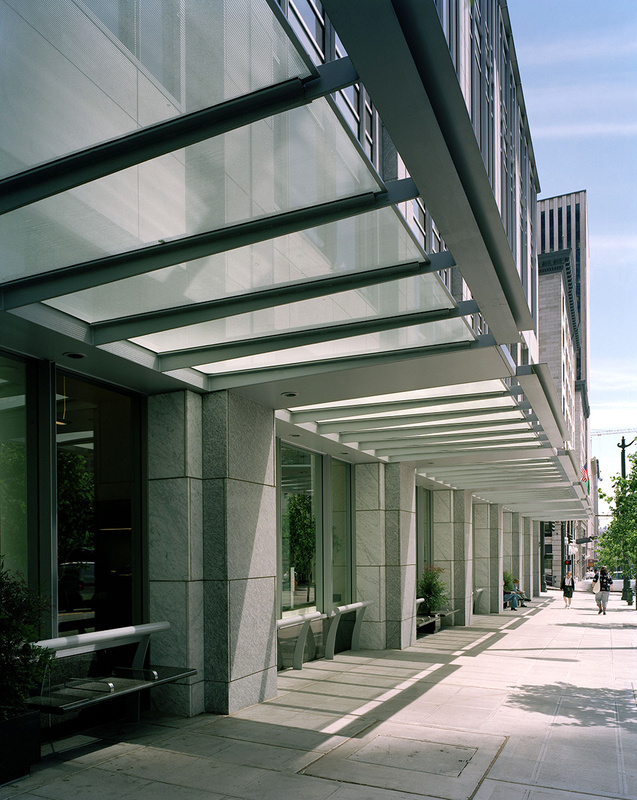 Further responding to the existing context, the module used in the podium façade takes its cue from the historical mid-rise buildings on adjacent blocks. 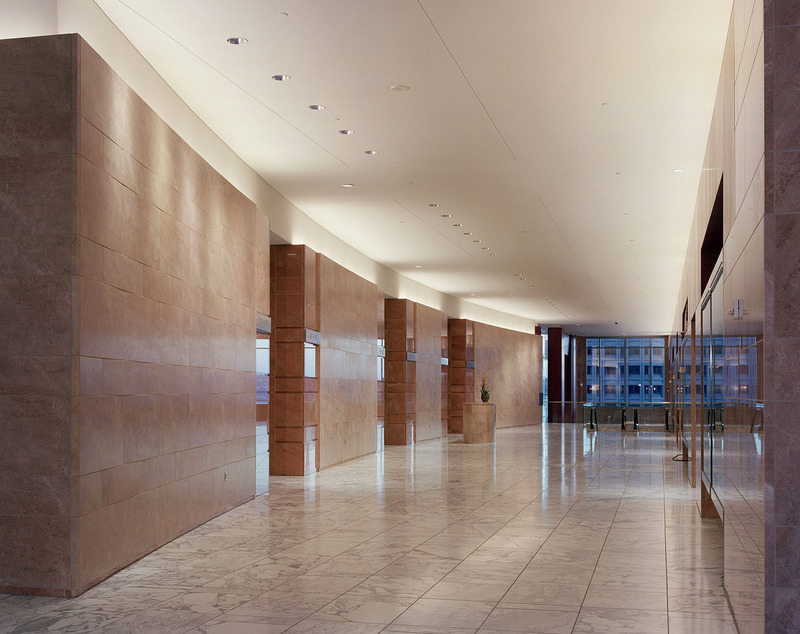 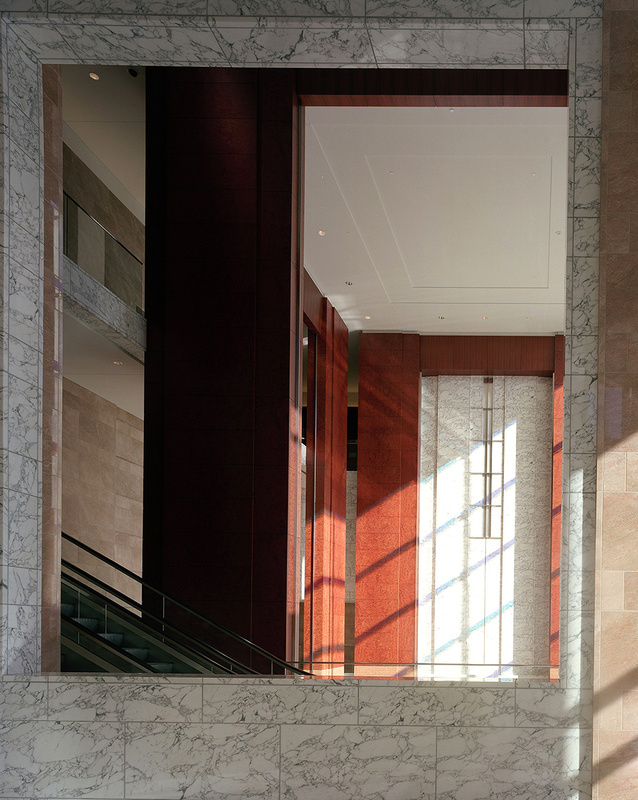 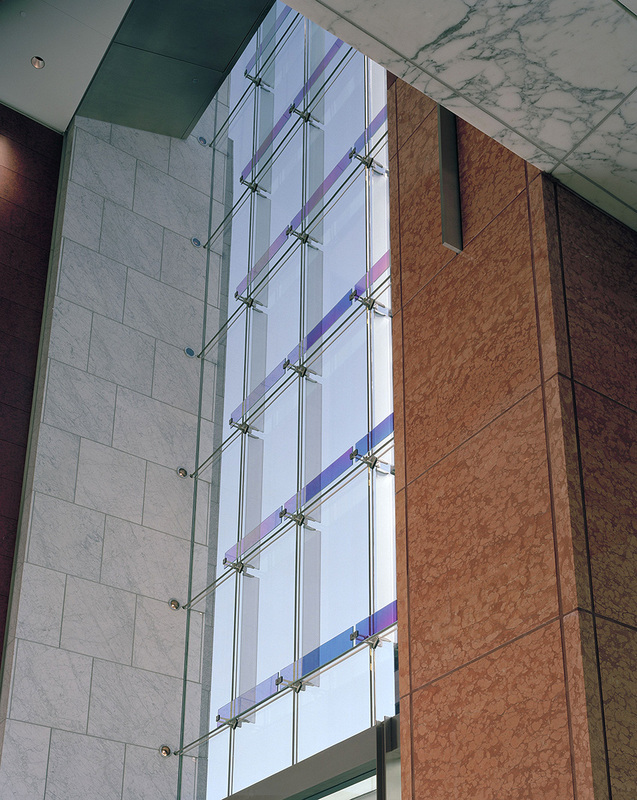 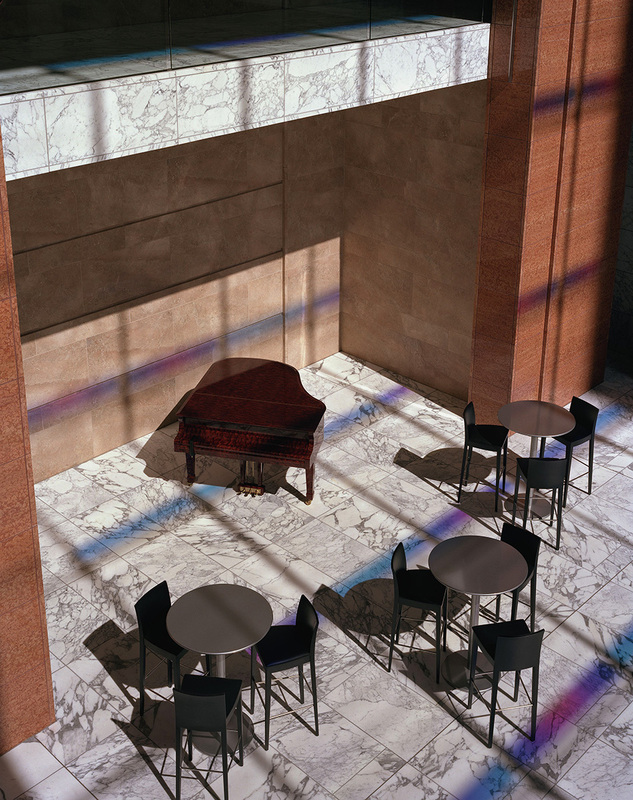 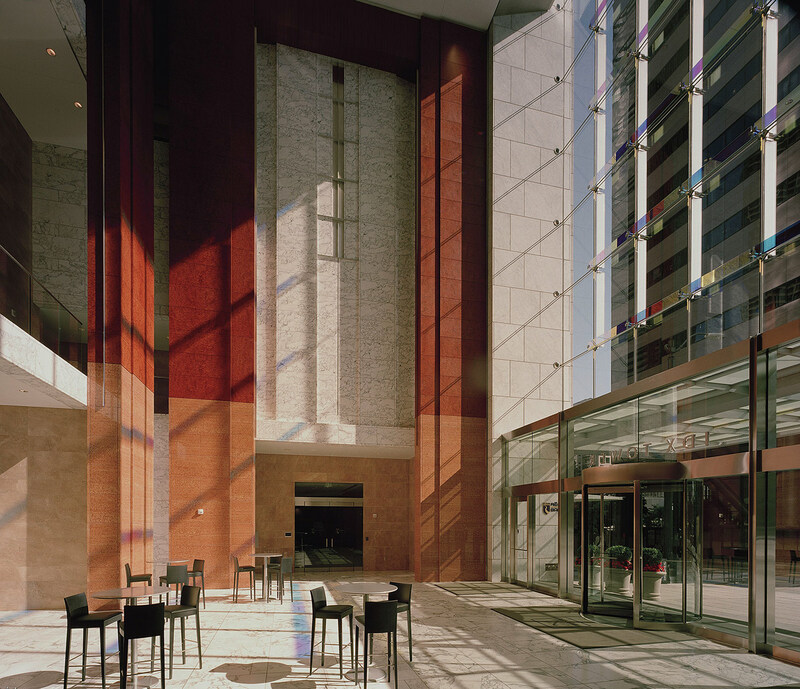 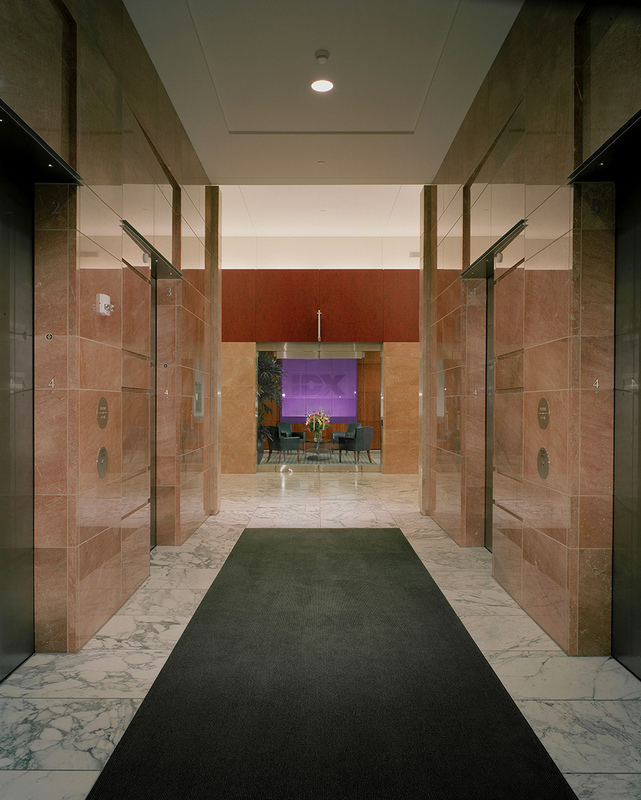 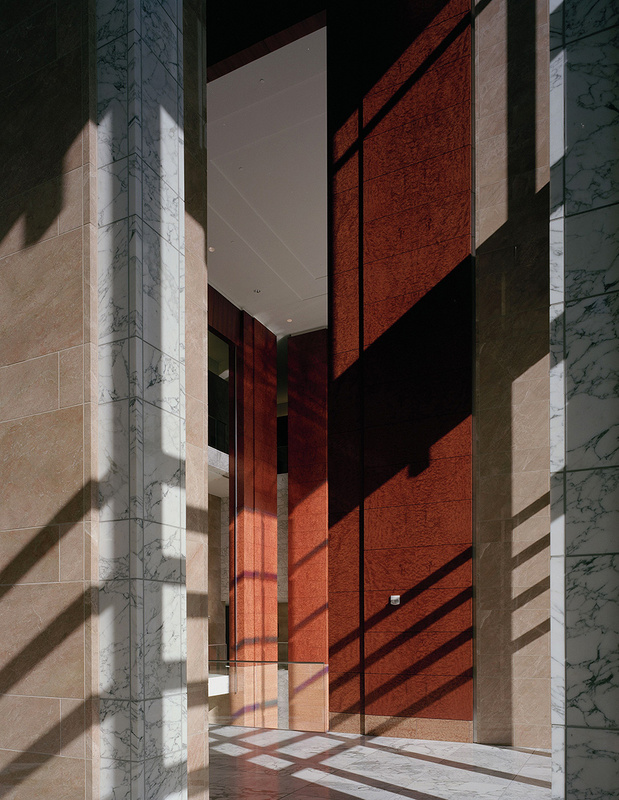 Renowned artist James Carpenter collaborated with the architects to weave a pattern of colored glass blades into a glass wall, supported only by tensioned cables, that appears to float above the entry to the five-story atrium/entry lobby. 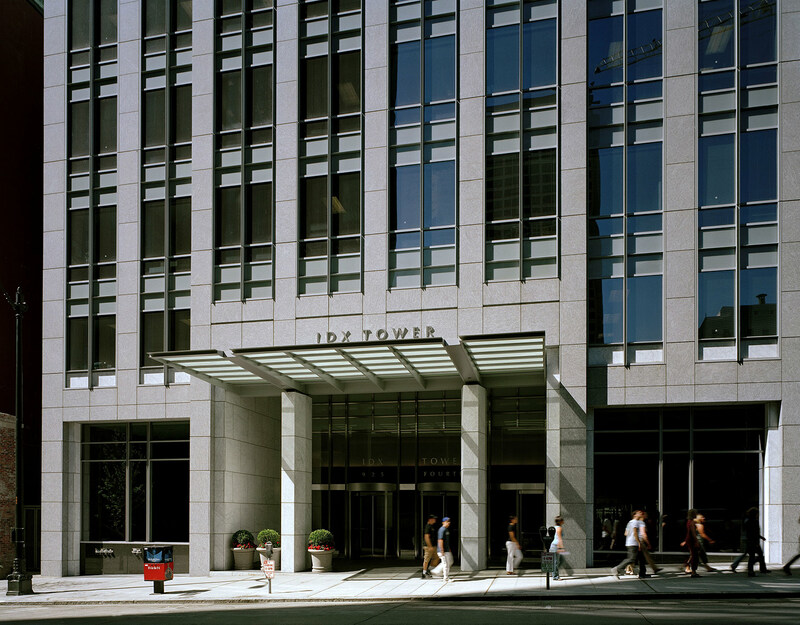 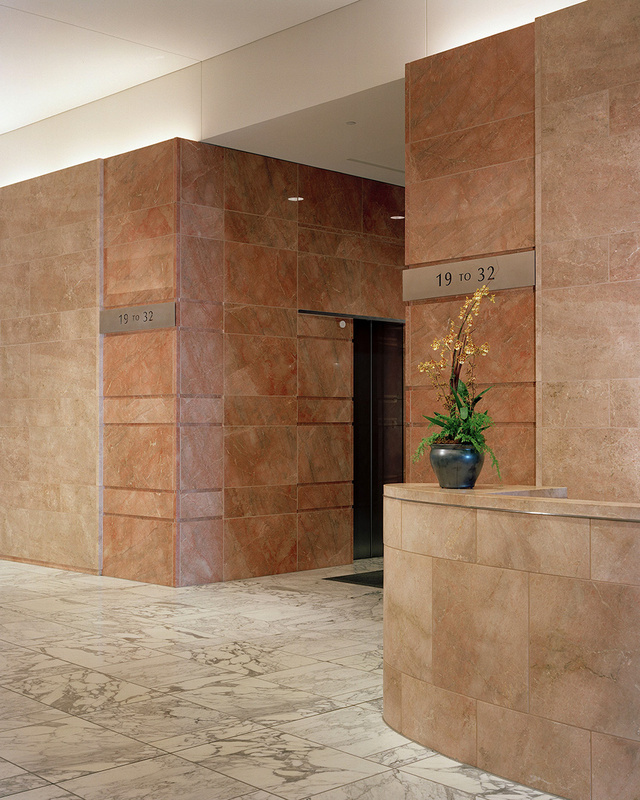 The building LEED registered and Energy Star rated 2004-2009.